A recent decision by the New York Appellate Division has granted a plaintiff’s request to find his employer liable for failing to provide necessary safety equipment under Labor Law § 240(1). The worker was injured by a fall after a defective ladder slipped out from under the worker as he tried to move to an unsecured scaffold. The decision was made earlier this month in the case titled Erkan v. McDonald’s Corp. The employee, Huseyin Erkan, had been working as a tile installer on the exterior of a new McDonald’s location. Erkan had been standing on a ladder that wasn’t secured, and as he tried to move from the ladder to a Baker scaffold, the ladder wobbled and slipped out from under him. Erkan filed a lawsuit against both McDonald’s and the contractor that had been employing him, Custom Commercial Construction Corp. Erkan claimed that his employer failed to provide proper protection for the work he was doing on a ladder in violation of New York Labor Law §§ 200, 240(1), and 241(6). He also claimed that the employer should be penalized for spoliation of the defective ladder that he claimed caused his injuries. “Spoliation” is the legal term describing the destruction or alteration of an item that could potentially serve as evidence in a lawsuit or potential lawsuit. A party to a lawsuit can’t destroy evidence that might hurt their claims and strengthen the other side’s without potentially facing serious penalties. In this case, Erkan needed the defendant to produce the faulty ladder in order to show the court that he wasn’t provided with appropriate safety equipment. While Erkan had other evidence that he wasn’t provided adequate protection, the absence of the ladder was still problematic. A skilled attorney can help obtain justice for accident victims even where unscrupulous defendants attempt to avoid liability through the destruction of evidence. 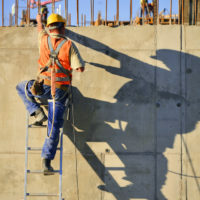 The plaintiff filed a motion for summary judgment, asking the court to rule in advance of trial that the employer had violated New York Labor Laws in a manner that resulted in his injuries. While the trial court rejected this motion, the Appellate Division granted it, finding that the plaintiff had provided evidence that he didn’t receive proper protection which the defendant had been unable to discredit. The court’s opinion stated, ”[o]nce it is determined that the owner or contractor failed to provide the necessary safety devices required to give a worker ‘proper protection,’ absolute liability is inescapable under Labor Law § 240(1).” In this case, Erkan provided a sworn statement to the court that he didn’t receive proper fall protection equipment, and the defendants could only produce unverified incident reports and medical records to try and contest his account of events. The Appellate Division found this insufficient to discredit the accident victim’s claims and granted his motion imposing liability on the employer and property owner. If you have been hurt on the job in New York and need dedicated, effective legal counsel to represent you in a claim for damages, contact the Manhattan personal injury lawyer Leandros A. Vrionedes for a consultation on your case, at 212-889-9362, or in Queens at 718-777-5895.